Yesterday I was perusing patterns for a simple little knit for a baby shower. I wanted something smaller to add to a present that is already done (booties and a little sweater). Something to make the ladies go ‘Awwwwww’ but nothing that involved extensice knitting or too much toyish technique. I came across the pattern for this lovely little birdie! 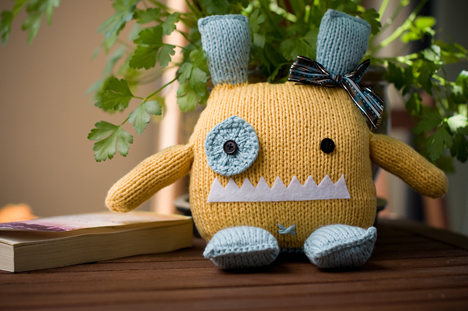 The pattern is Chubby Chirps by Danger Crafts. Danger Crafts carry some wonderful little toy patterns, including some pretty fantastic monsters. 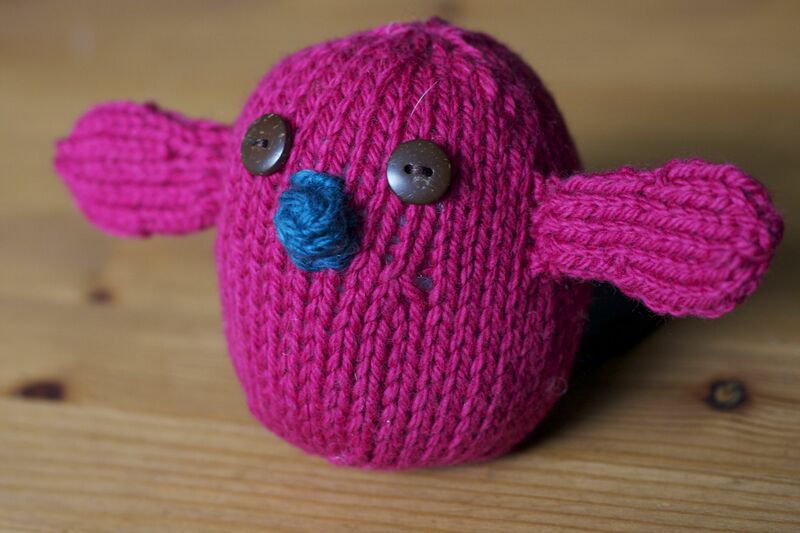 Once I found my Chubby Chirps I discovered a fantastic monster knit up by Ann! She knit this little beauty out of Blue Sky Alpacas worsted cotton. I’m just deciding on colours to make a fantastic monster of my own! 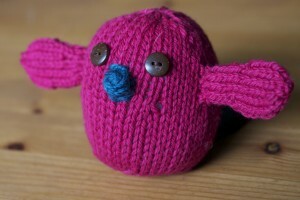 I made my Chirpie out of Spud and Cloe Sweater and it knit up in under and hour, just what I was looking for. Of course, once I finished Chirpie I felt she needed at least 2 friends, she just didn’t look complete otherwise. I was so happy with my Sweater Chirpie I think my monster will have to be made out of the same. The Chirpie pattern can be found for free online here and the monster patterns are waiting for you in the shop! This entry was posted on Tuesday, June 14th, 2011 at 10:53 am	and is filed under Uncategorized. You can follow any responses to this entry through the RSS 2.0 feed. Both comments and pings are currently closed.